Looking for the best MMA gloves?, Well every fighter needs a good set of gloves and as most professionals will advise, simply one set will not suffice! 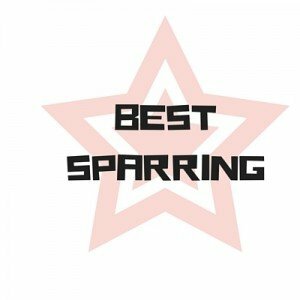 It’s best practice to keep a set of gloves for sparring, and one for fights in the ring. There is a wide range of gloves at your disposal as a martial artist, and you will find that there are specialized gloves to suit any preferred personal fighting style. Adequate investment into good quality gear will save you injuries and discomfort when rising up the ranks of your chosen fighting sport. As is true for all sports equipment, comfort, durability and suitability should all be met in order to ensure that you have a set of gloves best for you. Some gloves are versatile enough to be used for both competition and training purposes, although most often the heavy bag needs its own set. Three sets of gloves seems to be the average for most martial artists. Each classification of gloves plays host to its own unique range of features, benefits and injury-prevention mechanisms. In terms of fighting equipment you cannot cut-corners when considering a set of gloves, you simply have to find the best fit for you! Durable, comfortable sparring gloves should be carefully chosen. There are many designs to choose from, with certain gloves being better suited towards grappling and others not allowing for grappling at all. Be certain that you choose one set of gloves suited to both purposes, or one dedicated for striking and another for grappling. Using gloves that require you to change for each discipline may suit certain training regimes, however for most a glove change is an unnecessary burden. One good quality set of sparring gloves can save you money and time in the long run, fighting sport is after all an activity that can be hard-wearing on both the body and its equipment! A quality set of MMA sparring glove will be able to serve you well on the heavy bag or against a sparring partner. The UFC MMA Sparring are gloves that offer great value for money, layered foam protection and a closed palm design, that does feature a mesh interior for breathability. A fantastic set of gloves for any MMA training session, these gloves are well crafted from polyurethane and extremely stylish. The cool blue and black veneer sports the UFC logo, exuding quality of craftsmanship throughout. The stitching is secure and these gloves have been known to be able to take a beating. Padded, pre-curved knuckles ensure that you are guarded from injury when striking and the design of the palm, thumb and wrist support allow for fluid movement. The UFC MMA Sparring Gloves are great for grappling and the protection offered has your more than covered in the stand-up fight. An official UFC product such as these gloves has to meet high expectations in all regards, and these practice gloves do a fantastic job of upholding the UFC brand name. These fantastic professional style training gloves are crafted from premium synthetic leather and available in your choice of either red, black or blue. The material is antimicrobial which combats odors and prevents the growth of bacteria. Available in sizes 8 oz., 12 oz., 14 oz., and 16 oz., the Everlast Pro Style Training gloves are fully foam padded, back and front, and offer great injury protection as a result. These sparring gloves are designed to promote punching technique and are thus suited for stand-up fighting and bag work. Everlast has provided an extremely affordable set of practice gloves that maintain a good level of durability, even withstanding their vinyl exterior which at first appears easy to damage. Long lasting, comfortable and a fantastic extension of Everlast’s range, their Pro Style Training gloves make for a great set which goes easy on the budget. Fairtext have sculpted a fantastic set of sparring gloves. Made of genuine leather and handcrafted in Thailand, these durable gloves are all purpose, they can be used for sparring of any sort. Pre-curved, triple layers offer maximum protection, whilst superior stitching guarantees a set of gloves that will last. The knuckles are padded and durable enough to provide extreme comfort no matter the punching strength of the athlete in training. At a glance these sparring gloves scream quality and once you try them on this quality is evident. The Fairtext Muay-Thai Sparring Gloves are not just available in black, there is a wide range of colours available making sure there is something suiting any particular taste. Snug fitting, great looking and intelligently designed, the Fairtext range of Muay-Thai Sparring Gloves are one of the best choices out there, superior in all regards. Constructed of premium leather with vectro straps and handmade in Thailand. Free Shipping upgrade. Gloves ship express with standard shipping cost. Service centers for return/exchange in U.S. and Thailand. Windy gloves are well known for their level of comfort and suitability for people with large hands. This set of training gloves continues on that tradition by providing a level of density that is well suited to all individuals. This is a professional set of sparring gloves that exhibits its superior design extremely well, with fighters having noticed differences in their punching style on the very first day of use. The Windy Thai Training Gloves have noticeable wrist support, fantastic padding, attached thumbs and convenient hook & loop closures. Hand-crafted in Thailand, one finds nothing but quality and comfort in these top-class sparring gloves. The layered padding is well designed and offers complete protection of your fist. Great for use on the heavy bag, these Wind Thai Training make a pricey but long lasting choice for any athlete in training. These 100% Polyurethane gloves are best suited for striking, but thanks to the anatomical design elements are extremely versatile in other fighting areas. Durable design combined with high quality materials make for a set of sparring gloves that can go the distance with either your partner or the heavy bag. The open fingered design features elements that are carefully crafted to anatomically match your thumb, whilst not hindering your mobility. Finger Loops are also added for comfort and grip. The wrist strap is very secure and Everlast has used Durafoam throughout the comfortable padding. The Everlast Train Advanced MMA 7-Ounce Striking / Training gloves are perfect for any mixed martial arts who holds a focus in striking, but still wants full extension of his or her hands. The fight standard on global competition levels requires a glove weighing but four ounces. This should clearly represent the importance of procuring a functional, high quality set of gloves for your grappling game. The ideal gloves should fit comfortable, featuring well-structured ergonomics making your gloves fit the form of your hand with no slippage at all. Mobility and use of your hands should not be sacrificed, you need a comfortable fitting glove that does not hinder in any way. Finger flexibility should be high and thumb protection should be in place. A good quality set with protective knuckle padding, either by means of foam or gel, will safeguard you and / or your sparring partner from injury. You should always check whether your gloves are machine washable and wear hand wraps if needed. Most good gloves have anti-odor and anti-bacterial agents built in. If using wraps make certain that your grappling gloves are still a tight fit, whilst never losing dexterity of your hands, wrist or fingers at all. 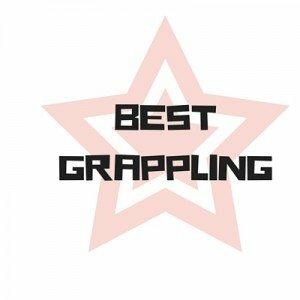 Take a look below at our recommendation of five of the best grappling gloves available. This is a wonderful choice for the mixed martial artist. These grappling gloves offer enough padding and protection to be used on the bag, whilst still granting full mobility of your hands, ample enough for any grappler. The wrist padding and support are not out-of this world, however this is designed specifically to grant complete extension of the wrist. These gloves offer full hand protection and hold claim to an extremely durable design structure. The finger slots and seams are reinforced and the gloves offer a smooth fit across all sizes. The Everlast Mixed Martial Arts Grappling Gloves are a great set of lightweight, durable gloves suited for both actual fights and training. This set of gloves offers great value for money. The Ringside Combat Sports Pro Style MMA Gloves span eight colors across the range. The open palm design allow full use of your hand and make for great grappling gloves. The padding is very thick, but has enough spring and a comfortable enough fit to suit any fighter. 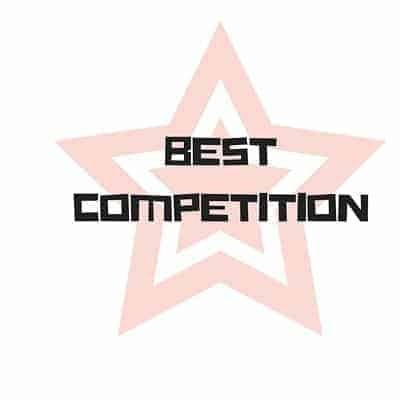 The gloves are made from synthetic leather and carry a very light weight, a great benefit as will be known by who have spent extensive time in the ring or arena. The Ringside Combat Sports Pro Style MMA Gloves are a great choice for any hardworking athlete. They are however known to be a rather tight fit, so ordering one size larger and wrapping up before a fight or training, would be the best idea. Top class durability through 100% leather and reinforced stitching is provided through the RDX range of Cow Hide Leather Gloves. These Gel Tech MMA Grappling Gloves are fantastic to behold, a clear the reflection of the quality workmanship that has gone into crafting them. The key feature that makes them stand tall above the rest is three integrated layers of “IMT” Gel, granting shock absorption and unparalleled padding. Comfortable to wear but tightly fitting, RDX Cow Hide Gloves are ergonomically designed. The ergonomics work extremely well, as does the gel padding. You will struggle to find a match in terms of weight, protection, padding and mobility benefits. These are great grappling gloves that will suit even the most dedicated fighter. Highly functional, flexible, durable and innovative best describe the Everlast Pro Style MMA Grappling Gloves. This great choice of grappling gear sports EverDri Technology. This unique development from Everlast ensures that your hands stay dry, regardless of how rigorous your activity is! Odor free and moisture absorbing, EverDri is a great built-in technology, which adds even more value to these already fantastic grappling gloves! The Everlast Pro Style MMA Grappling Gloves are ergonomically designed, matching the form of your hand perfectly. Tight but comfortable, the wrist support is really good. Overall these are a great set that are set to last. EverDri Technology- moisture absorbing lining to keep you hands dry! Protection, comfort and extreme flexibility are offered by the Authentic RDX GEL Grappling Gloves, suitable for all forms of martial arts. MMA Boxing Punch Bag Bandages Muay Thai UFC. They come with +- 120cm long hand wraps sporting leather trim. These gloves are crafted from neoprene, which (due to ergonomic design) fit the form of your hands and forearms perfectly. This set leaves your thumbs open, a great feature makes provision for full use of your hand when grappling. The neoprene design sports interior gel padding and thus maximum shock resistance, cramp prevention as well as durability. Wrist support is top not, as is the overall quality of these grappling gloves. Definitely a firm favorite for anyone that fights a stand up but needs to take the game to the floor as well! MMA has been rapidly evolving and thanks to this evolution we have some of the finest choices of equipment at our disposal. A good quality set of competition gloves does not only please aesthetically, but it also plays a key role in your striking ability, endurance and injury protection. Competition fight gloves are designed around a focus point of performance, and the right set to the right fighter is a worthy addition to his arsenal. Finger fit must be perfect, knuckle curve should be form fitting, wrist protection non-restrictive but secure and they should look perfect! Look the part, feel the part has often been said! One has no lack of options with competition gloves available that excel in all areas. A perfect set of fight gloves should balance hand control with striking power absorption. Smooth, rugged and chrome Skintex-embossed Nappa leather makes up the composition of these Venum Undisputed 2.0 MMA Gloves. When looking at leather, Nappa is the finest choice available, blending comfort of touch with durability. The stitching is extremely well done and gloves carry an overall feel that screams FIGHT! The wrist support is positioned high and extremely effective and the Velcro straps makes single-hand adjustment a snap. The foam padding protection is layered which grants good density and hand protection. Produced in Thailand these gloves exude quality whilst carrying an outward appearance that shows you mean business. Venum gear, overall, is far ahead of most of the competition as you will clearly see upon trying on these gloves. These gloves lay their claim-to-fame in their advanced integrated technology and lightweight structure. The Regenesis is made from Nylar®-2 leather which is specifically developed to be 29% stronger than conventional leather, whilst being 400% more abrasion resistant. Hayabusa Fightwear have provided gloves that are scratch resistant, long lasting with maintenance of upkeep being extremely easy. Nylar®-2 is washable! Never will your gloves crack or begin to suffer a degradation of color. Another great new feature is the use of what Hayabusa calls Dual-X Wrist closure. Protection you from accidental twists, sprains and over-extensions, Dual-X is scientifically proven to also improve your striking power. X-Static® & XT2® are antimicrobial features embedded within the gloves that prevent odor and moisture. X-Static® & XT2® do not wash out whatsoever, remaining a benefit to you for your entire duration of use. The Tokushu Regenesis fits great, carrying a 30% ergonomic pre-curve, and matches every expectation of a professional set of fight gloves. These fight gloves are constructed to the exact same specifications as those used officially by athletes in the UFC. The knuckles are pre-curved and the palm is open. They are not normally recommended as sparring gloves as there is a high chance that you will injure your partner! 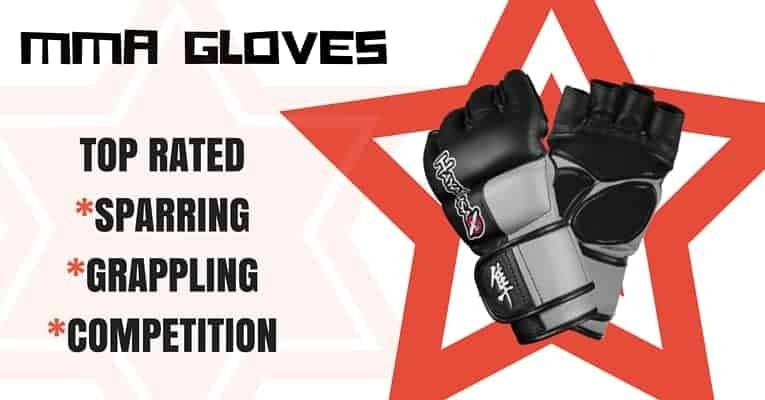 Great gloves for the ring or arena, they have passed stringent research and testing procedures prior to being selected as the gloves for use in the UFC’s Octagon. The adjustable wrist strap provides great support, whilst looking stylish as well. The genuine leather construction is high quality and was designed specifically to reduce hand fatigue. The UFC Official Fight Glove is a set offering the maximum possible dexterity. Even though you benefit in terms of mobility, protection is support is nowhere near lacking! Handcrafted in Thailand, the Venum “Challenger” MMA Gloves ooze appeal, screaming “fight night” immediately when seen. Crafted from premium Nappa leather with Skintex embossed tags, these aggressively designed gloves offer great safety features. Each finger is protected, including the thumb, through comfortable, non-restrictive reinforcement. The Velcro strap is easy enough to adjust one-handed, whilst still providing secure wrist support. Venum has produced an extremely comfortable set of gloves, securely suited to those will all sizes of hands and knuckles. The multi-layered padded reinforcement provided can sustain a knock, no matter how hard you punch, leaving you well protected when striking. The shock absorption features are overall fantastic and best of all mobility is not restricted in a form, but protection always offered. The Venum “Challenger” MMA Gloves sport an open-palm design while holding their own in terms of resistance. A high quality set of competition gloves, the “Challenger” wins in all regards! These gloves top the charts in all regards. 4 Ounces each, built and tested to competition standards, the Hayabusa Ikusa MMA Gloves are handcrafted and of the highest quality. This fantastic set of competition gloves has an ultra-reactive inner core complex and exhibits some of the most advanced moisture wicking interior lining technologies seen. No moisture build-up will be felt and unsightly odors never smelt. The specially developed inner core guarantees that your hands will never slip within the gloves, always staying protected. Hayabusa has a patented Dual-X closure system built-in which provides great striking dynamics and a contoured, ergonomic fit. These gloves are so well designed that hand-wraps, a usual necessity, are made unnecessary. Competition gloves are in most cases suited to competition only, but the Ikusa both fit practice sessions and sparring extremely well. Bag work is even a breeze, you will experience no trauma to your knuckles whatsoever! The wrist support works very well, always ensuring that your wrist is kept steady. Hayabusa excels time after time throughout their range of fight gear, these gloves make a top choice for any martial artists, beginner or pro! MMA gloves bridge the gap between striking ability and grappling, and are an integral part of every mixed martial artist’s gear. A good set of MMA gloves will leave your hands with full mobility and extension, whilst providing stellar protection of your wrist and fist. Many different varieties of gloves are at your disposal, however please note that MMA gloves are not generally best suited to training sessions with a heavy bag. The protection afforded is perfect for a fight in the ring but hours training with a heavy bag could leave you with paining knuckles and/or a hurt wrist, if the set of gloves that you are using are not specifically designed for use with a heavy bag. 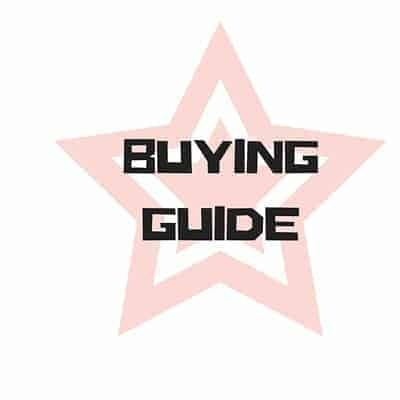 Out of the extensive range of glove sets that you have to choose from there are three basic classifications to pick from, namely MMA Sparring Gloves, Grappling Gloves and Competition Gloves. MMA gloves in their entirety are all intended for grappling purposes as well as striking, but when training it would be in your best interest to get a specific set of gloves for your given purpose. In order to measure your hands and determine which gloves are the best fit for you, one should measure the circumference of your hand. In order to do so get yourself a cloth measuring tape and then clench a fist with your strongest hand (left for southpaws). Begin by measuring the circumference from a point just below the “apex” of your knuckles. Be sure to position the tape just below the curve of your fist, ensuring to wrap it over your thumb’s knuckle at the same distance as from your other fingers. This circumference is your glove size. If you wrap your hands prior to fitting your gloves, then be sure to take your circumference measurement with your wraps on. Whilst the size difference may be small, the impact on your fit can be make-or-break, especially if your wraps take you just over the threshold between one size and the next larger. Certain brands do have minor size differences, not quite matching the global standard used on the reference above. It would be best to check comments of previous buyers in order to find a set of gloves that best match your size requirements. Care should be taken to ensure that you pick the right weight of gloves to grant you the highest level of comfort and protection. The lighter the set of gloves, the better the suitability for use in the ring or arena. Lighter gloves generally offer less padding and give you better use of your hands. Heavier sets of gloves come sporting better padding and shock-resistance, this is needed when enduring hours of training either alone or sparring. The padding present in gloves allocated as sparring gloves, protects both you are your sparring partner from harm, softening the blow for your sparring partner and hand, as well as reducing the impact when training with a bag. In terms of heavy sparring sessions, it is highly advisable for both you and your training partner to be protected by good quality gloves, intended for training purposes. If your training regimen sees you busy on the heavy bag for hours upon hours, then it would be better to find a set of gloves meant for this. The size, padding, shock-absorption and the material of which they are made all affect the weight of the gloves. When considering gloves for competition you should always first evaluate your own, personal strengths and fighting style. Fighters that do not place a focus in speed, agility, dexterity and in turn quick-wins, should opt for a set of gloves that are very light. For those that play the endurance game, wearing their opponent down over multiple rounds, a heavier set of gloves would make an optimal choice. The extra protection enables you to go the extra mile, guarding your knuckles and wrists against severe punishment, giving you the ability to just keep going! Practice / sparring gloves follow a different rule-of-thumb. By making use of the value of contrast, one can use glove weight to your advantage. Train using a heavier glove, a glove set that offers greater padding and overall protection of your hand. Not only will you be placing yourself and/or your sparring partner in a position of less risk, but you will be practicing your blows to be accustomed to working harder to build up the required force. Whilst this is a gradual adjustment, the gains will clearly be seen which switching to a light set of competition gloves on fight night. Your striking speed and agility will be effortlessly higher, whilst having done nothing more than changing your glove weight. The higher the difference in weight between your practice and competition set, the higher the dexterity bonus! Regardless of your choice of gloves, it is best practice to also use surgical wraps. Your wraps protect against abrasion, the buildup of sweat and provide overall great protection against any form of wrist injury. MMA competition gloves are 4oz by global standards and thus carry very little protection. You enter a fight, fighting close to bare-knuckle, and for this reason one has to have at least two sets of gloves. Injury is an affliction that any serious fighter cannot suffer, especially not for reasons are futile as incorrect training gear. Always make certain that your choice of gloves for either purpose offers an intelligent, ergonomic design structure, protecting your wrists, four fingers and thumb, in the best way possible. The vast majority of high quality MMA fight gloves will also come with built-in odor and moisture resistant properties, referred to as anti-microbial agents. This is a great feature and should looked for prior to deciding on your set. MMA fight gloves are an investment that can last you years of good service if carefully chosen. Good fit, good quality and great features should be present in any gloves that you choose the purchase. Thank you for the post. More information than what I was expecting. An all around guide for the best mma gloves. Well done research and a good demonstration of your knowledge of mma gear. I wanted to ask how are the UFC pro mma training gloves in a scale of 1-10 in terms of all around dynamics and durability?. Can they be used for competition? Sorry for the inconvenience.